Rongmon Bordoloi and his team of researchers from the MIT in Cambridge, with the help of the NASA's Hubble Space telescope lead an amazing research on black holes. 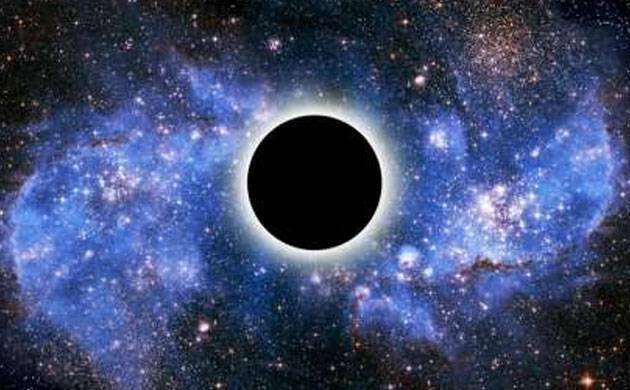 A black hole is a dense, compact region of space with a gravitational field so intense that neither matter nor light can escape and the last meal that the super massive black hole of the Milky Way had was six million years ago. It consumed a large clump of infalling gas before burping out a gigantic bubble of gas weighing the equivalent of millions of suns, a new research led by an Indian scientist from Jorhat, Assam has found. Rongmon Bordoloi and his team of researchers from the Massachusetts Institute of Technology in Cambridge, with the help of the NASA's Hubble Space telescope, found that several distant quasars can be seen through the northern half of the Fermi Bubbles, an outflow of gas expelled by the Milky Way galaxy's hefty black hole. The Hubble Space Telescope investigated the quasars' light for information on the speed of the gas and whether the gas is moving toward or away from Earth. Based on the material's speed, the research team estimated that the bubbles formed from an energetic event between 6 million and 9 million years ago. "Six-nine million years might sound like a long time in human years. But in terms of cosmic timescale, it is like the blink of an eye. Just to give you the scale, the universe is approximately 13.7 billion years old, and the dinosaurs became extinct around 66 million years ago. So the last meal that the supermassive black hole of the Milky Way had was after the dinosaurs became extinct", says Bordoloi. "For the first time, we have traced the motion of cool gas throughout one of the bubbles, which allowed us to map the velocity of the gas and calculate when the bubbles formed", he added. "It was a very strong and energetic event. It may have been a cloud of gas flowing into the black hole, which fired off jets of matter, forming the twin lobes of hot gas seen in X-ray and gamma-ray observations. Ever since then, the black hole has just been eating snacks", he says. The supermassive black hole at the centre of our galaxy has compressed the mass of 4.5 million sun-like stars into a very small region of space. When asked about the occurnce of next meal, Bordoloi told sources, "Recently a binary star called G2 (with a mass of several earth masses) came very close to falling into the supermassive black hole at the centre of the Milky Way. Somehow it didn't fall through and survived." "There was some increased activity in terms of X-ray flares which could be due to a change in the strength of winds from nearby massive stars that are feeding material to the black hole. But in short, we don't know when the next big meal would be. There are stars orbiting the galactic centre, and if they fall into the black hole at some point, we might see a good light show." Bordoloi stated. "What the snacks consisted of is somewhat unclear. It could be a gas cloud falling in or even some stars orbiting near the galactic centre that fell in", says Bordoloi, who has been using NASA facilities like the Hubble Space telescope since his graduate school years. According to him, the kind of gas flow observed is called a nuclear outflow. "Such outflows are important regulatory mechanisms in the life cycle of a galaxy that controls that gas reservoir of a galaxy. If such outflows are too vigorous, it would mean that all the gas inside a galaxy would be kicked out and that would mean no new star-formation in the galaxy would occur." he said. "By studying the flow of gas into and out of the galaxy, we can study the fate of the Milky Way. We can start to predict if it will keep forming stars (currently there is almost one new star born in the Milky Way every year), or whether it will run out of gas supply and become an old and dead galaxy", claims Bordoloi. On the challenges ahead, he says, "One big challenge is to actually see which theoretical predictions can explain the observations we see here. It is always fun to push our understanding of a subject by comparing the models with observation. Moreover, we are conducting new Hubble observations in this field, and hopefully they would also show some new surprising results."